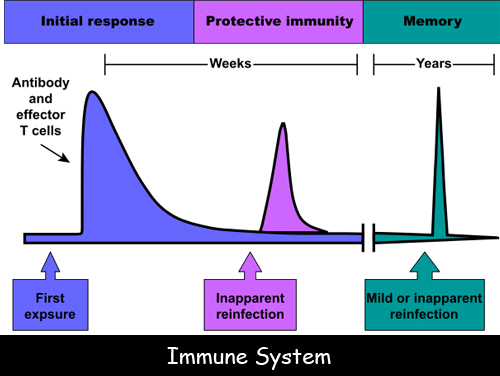 The immune system can be defined as our body’s protection system. It is a complex compilation of protective and disease-fighting cells that keep us from falling sick. It identifies invading diseases, viruses and bacteria etc. in the body and destroys them. This system is made up of skin, spleen, bone marrow, WBC (White Blood Cells), antibodies and hormones. Inflammation is one of the first responses by the immune system. The common symptoms include redness, swelling and pain. It is estimated that 20 minutes of laughter each day helps to keep the immune system healthy. Sun is also an important factor to keep the immune system healthy. Exposure to sunlight is required so that body can get its vitamin D.
Being too clean can also affect your body negatively because there is a chance that you remove good bacteria from your body as well. Autoimmune diseases occur when the immune system destroys its own healthy tissues. Females are more likely to be diagnosed with autoimmune diseases. Sleep deprivation may hit your body’s defence system harder than you think. Approximately 80% of your immune system activity takes place in your intestines. Oil on our skin is the first line of defence against bacteria. Allergies are the result of this system responding to a harmless allergen and perceiving it as a threat. The human gut is filled with tons of bacteria and some other things that help us to digest the food. The best way to increase your body’s natural immunity to disease is to reduce the stress in your life.